Ultra thin, 1mm Fresnel prisms are ideal for trail fittings. Firmly attaches with water but easily removes. 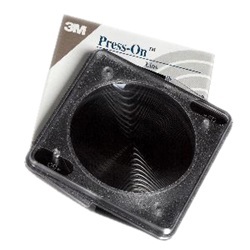 2 diopter prism that measures 2.75" x 2.75". Manufactured by 3M. Comes as singles.